Witt Law Firm, P.S. is a litigation firm focusing on family law, criminal law, civil matters and personal injury. who provide a uniquely personal and practical approach to serving the legal issues facing clients. Since 1993, Morgan Witt has been providing attorney services for clients in Skagit, Whatcom, Snohomish and Island Counties. Morgan is a local trusted attorney with many satisfied clients. 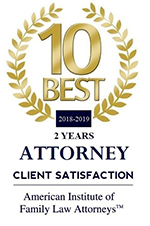 Whether you are going through a complicated divorce, have a civil dispute, or facing a criminal charge, be assured that Witt Law Firm, P.S. will represent you and your best interests, providing advice to assist you in navigating the legal system. ARE YOU READY TO SET UP YOUR INITIAL CONSULTATION? We make a priority to provide our clients quality legal representation. Contact us to set up an initial consultation to go over your case. Witt Law Firm provides legal services to Mount Vernon, Burlington, Sedro-Woolley, Anacortes, Bow, Stanwood, Arlington, and other cities in Skagit Valley and Snohomish County. Morgan Witt, attorney at law. Criminal lawyer, Mount Vernon, WA. Skagit Valley family law attorney, Attorney Snohomish County, DUI lawyer Mt. Vernon, WA, estate planning attorney, divorce attorney, adoption attorney. Probate attorney Bellingham, WA, DUI lawyer Skagit County, WA, estate lawyer, divorce attorney Sedro-Woolley, family law attorney Mt. Vernon, WA, personal injury lawyer Skagit Valley, criminal defense lawyer Burlington, WA, family law attorney Arlington, WA.